If you follow me on Snapchat, you may have seen that I’ve swapped the face paint for an array of face masks this year. I name it celebrating Halloween granny-style. Anyways, there’s nothing worse than having dry and patchy skin. Ever since I’ve been introduced to chemical exfoliators, physical exfoliators haven’t touched my face at all. I swipe BR’s P50 over my skin every evening, but when even that won’t fix my skin, I call out the big guns. 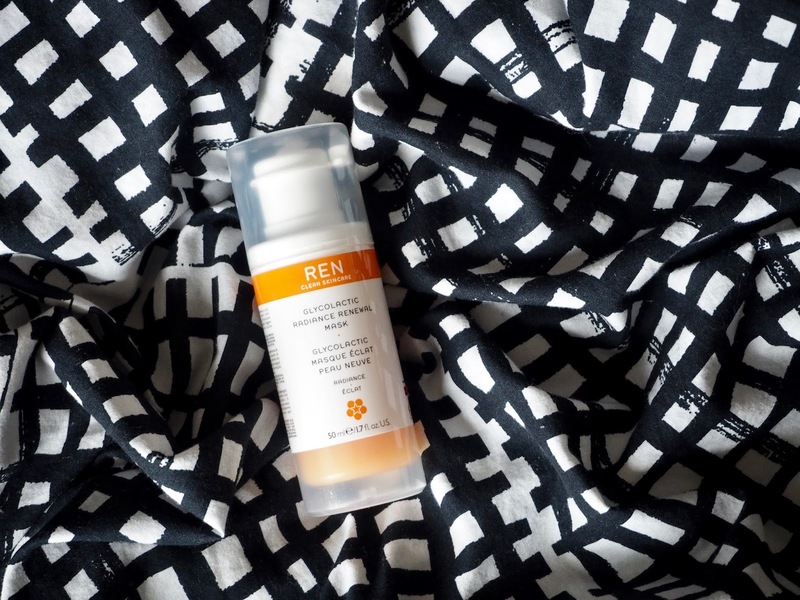 Meet REN Glycolactic Radiance Renewal Mask. The truth is, this mask has made an appearance on the blog so many times, it’d be on my hall of fame if I had one. Not only is it a quick fix for melting away your dead skin cells (i.e. soft skin), it’s also a godsend if you’ve got slightly congested skin and hyper pigmentation caused by acne. It’s packed with fruit-derived Glycolic, Lactic, Tartaric and Citric Acids to renew the skin, Mexican Papaya to exfoliate and Omega 3 & 7 to repair, nourish and soothe. Because it’s got 6.5% Glycolic Acid, I skip any exfoliating toners and avoid any renewal serums and creams after. If my skin is in need of some proper TLC – and I’ve got the time – I’ll follow with a hydrating mask or sheet mask to add some extra moisture to my skin. If you’ve got super sensitive skin: try and leave it on for 10 minutes and take it off with lukewarm water and the cloth that comes with it. I like to leave it on for 15-20 minutes before I take it off. Don’t worry if your skin looks rosy immediately afterwards, that’s totally normal. The next morning you’ll – hopefully – be greeted by smooth, radiant and much calmer skin. Some of the immediate effects I’ve noticed is that my skin is much softer and product sinks in much easier. Currently REN is offering 30% off on all masks, using the code MASK30. This promotion is running until 31st October 2016. (Not sponsored, just sharing the love —yes this post may contain affiliate links).